Our magnificent estate vineyard was planted in 1986 with Seyval Blanc and is located at the mouth of Little Cottonwood Canyon at an elevation of 5,350 feet above sea level. The early morning sunlight is not obscured by mountains due to the location of the vineyard at the mouth of the canyon, allowing the vine's to enjoy the sunlight from early morning to late in the evening. The soils of the vineyard are composed of glacial deposits, which combined with the gentle slope provide excellent drainage for the vines’ root system. During the grape ripening stage, the high altitude provides the necessary low nighttime temperatures to allow the grapes to ripen slowly. This enables the vine's to produce fully matured, well balanced grapes, which retain their natural varietal fruit flavors and acidity. Situated on 22 acres and established in 1975, the Chateau La Caille Estate houses a Four Diamond restaurant, numerous special event venues, acres of vineyards, and formal gardens reminiscent of Versailles. Our cottage may be rented nightly, and is an enchanting, romantic hideaway for couples. Please visit us at www.lacaille.com or call us at 801-942-1751. Our Proprietary blend of classic red varietals is sourced from the Wahluke Slope and Ancient Lakes of Columbia Valley AVAs. Deep ruby color, complex nose of dark fruits, anise, cedar and earth. A polished and silky texture reveals an astonishingly memorable finish. Sourced from the Radian Vineyard in California’s Santa Rita Hills, this classic wine embraces traditional Burgundian vinification methods. Medium body, aromas of raspberry, dark cherry and dark earth with seamless French oak leads to a lengthy finish. Aromas of Golden Delicious and Lily compliment the essence of tart pineapple, punctuated by a clean, bracing finish. The wine begins with a pale straw color with layered aromas of apple, white peach, and pear. The textured palate is fruity and crisp, yet velvety. The finish is balanced with minerality followed by dry fig notes. Enjoy this wine on its own as an aperitif, or pair it with chicken, fish, veal and pork dishes. 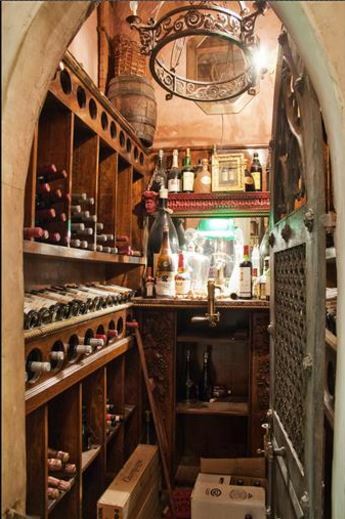 Either way, when you drink this wine, you will experience the Heart and Soul of La Caille! Sourced from the renowned Walla Walla Valley. Dark ruby in color with aromas of plum, cinnamon and subtle mint. The palate has ripe blackberry fruit followed by notes of cedar with silky tannins which lead to a lingering finish. Schedule your wine tasting at La Caille! 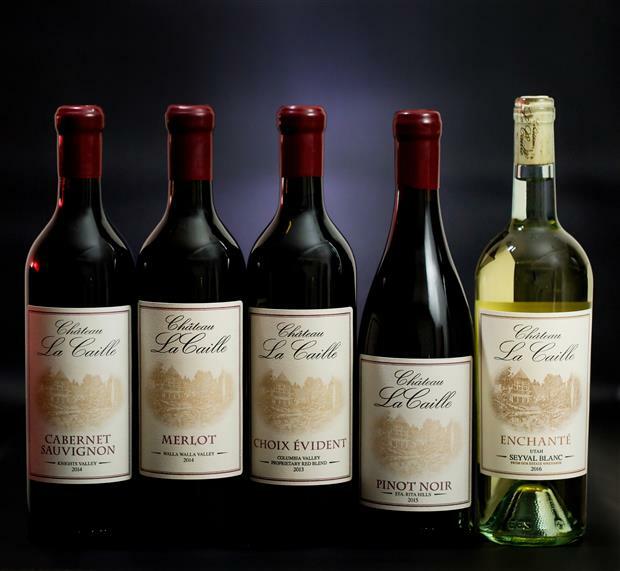 We are proud to offer 7 Chateau La Caille Wines including Merlot, Pinot Noir, Choix Évident, Three Cabernet Sauvignon Selections and our very own estate-grown Seyval Blanc. Call 801.942.1751 to set up your wine tasting today!